Yesterday was supposed to be the day that live Web video streaming took on TV broadcasting. CNN.com alone served a record 21.3 million streams, with a peak of 1.3 million simultaneous streams. And Akamai reported a peak of 5.4 million simultaneous visitors per minute to the various news sites for which it hosts video, and more than 7 million simultaneous streams. With millions tuning in from their PCs to watch President Obama’s Inauguration speech, it was one of the biggest tests yet for live video streaming. But live streaming failed. CNN.com kept bumping viewers into virtual waiting rooms. 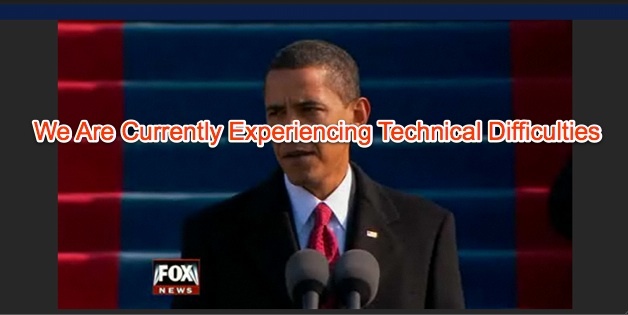 This happened to me in the middle of Obama’s speech. I had to keep hitting refresh, but missed half the speech. The stream on Hulu was even worse, with the video frozen and the audio coming in and out. And forget about Ustream. I couldn’t even get any audio. This seemed to be the general experience out there, based on other reports. When it comes to big live events with millions of people watching at the same time, traditional TV broadcasters have nothing to worry about. Right now, the Internet breaks at about one million simultaneous streams. That is nothing when it comes to the audience size for historic events, or even a big football game. The Internet simply does not shine when it is used as a broadcast medium. And yesterday proved it. Will it get better? Yes. Akamai and others can always put up more proxy streaming servers at the edge of the network to meet demand. But that is an expensive proposition for infrequent events. Perhaps a better solution for live streaming is a peer-to-peer model where streaming quality improves as more people watch. (Check out RayV, which does this). That would require everyone to download extra add-on software for their browsers. I’d do it in a second if that would solve the live stream stuttering problem.